The Merit-Based Incentive Payment System (MIPS) is the highly anticipated replacement for the flawed Sustainable Growth Rate (SGR) program. Slated to begin in 2019, the new payment system will negatively and positively adjust individual payments based on provider performance and ultimately demand the highest quality of patient care from healthcare professionals. How does your performance compare? Clinical practice improvement (15 points): Credit for clinical practice improvement activities such as MOC Part IV and QCDRs. By comparison, scores that fall above the benchmark will receive a positive payment adjustment and those that fall below the benchmark will receive a negative adjustment. The scores and their corresponding adjustments will remain in effect for one year and will not necessarily impact next year’s adjustment. On a positive note, however, credit can be given for improvement from year to year as well as for achievement. Under the MIPS program, positive payment adjustments can be up to 4% in 2019 and grow to a maximum of 9% in 2022 and beyond. Depending upon the number of high versus low performing professionals, these percentages can be adjusted to keep the budget balanced. However, even if all physicians meet the MIPS threshold, there is a special Additional Incentive Payment per year that ensures funds for positive updates. 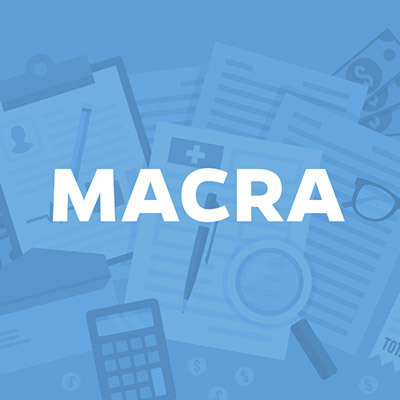 The maximum negative adjustment will be applied for scores that fall between 0 and ¼ of the threshold and professionals with scores closer to the threshold will receive proportionally smaller negative payment adjustments. Negative adjustments will be capped at 4% in 2019, 5% in 2020, 7% in 2021, and 9% in 2022 and beyond. Professionals whose performance score is equal to the threshold will not receive any adjustment. MIPS will apply to most all professionals with the exception of providers in rural areas, certain specialties and those participating in Advance Payment Models (APMs).